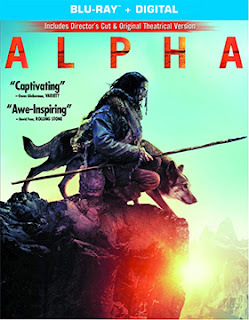 Sony Pictures Home Entertainment’s caveman and wolf saga, director Albert Hughes’s Alpha, will be making its way to the home entertainment marketplace on Nov. 13 as both DVD and Blu-ray product offerings. Despite a slow start during its mid-August theatrical run, Alpha, fairly strong word of mouth propelled the film to an impressive $35.5 million in domestic box office receipts. The ARR works out to 88 days.